Answer "How do I train my Belgian Shepherd?" This "How do I train my Belgian Shepherd?" 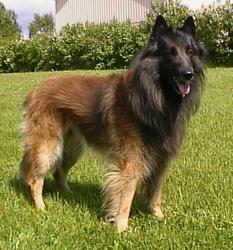 answer for dog breed Belgian Shepherd (Tervuren) was viewed by 1436 visitors. Belgian Shepherds are very smart dogs that have to be trained to live with people and other dogs from their very first days of life. Belgian Shepherds also require training in order to control their high energy and direct it to the right path. The puppies of Belgian Shepherd are recommended to attend the puppy socialization course and basic behavioral training. The owners, who have never dealt with Belgian Shepherd will be shocked with the speed these dogs train with and how they react to commands. 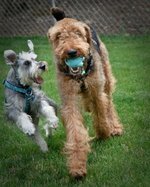 But the same characteristics can spoil the dog in cases when the owner does not have time to train his dog properly. These dogs are guardians, who have been bred to protect their owners and house. However, a well-educated and socialized dog will easily evaluate any situation and remain calm. RU: Как правильно дрессировать Бельгийскую Овчарку? How easy it is to train Italian Greyhound? Is English Mastiff a good guard? Why my dog eats rocks? Why should I crop ears and dock tail of my dog? Will Australian shepherd fit my personality? Will my dog die from eating chocolate? Does Rottweiler have any breed diseases? How do I feed my rottweiler? How hard is it to take care of siberian husky?